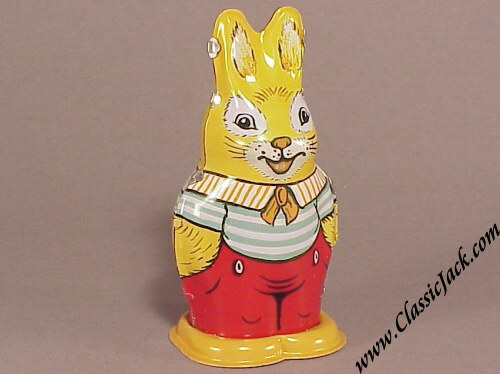 On this page you will find the miscellaneous current and old production tin-plate toys that we carry in our range. Schuco tin plate toys can of course be found in the appropriate Schuco section. These toys are for collectors only and not suitable for children. This is a current production version of a walking rabbit. 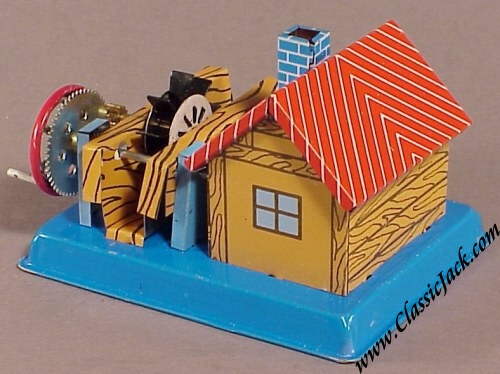 It winds through a hole in the left side (key included) and then starts to walk around your table top. It stands some 4 inches tall. Nicely lithoed, it is powered by a clockwork mechanism which winds with a separate key (included) through a hole on the left side which drives the front wheels and powers the main propellor. The tail wheel is set so that it will drive in larges circles. It comes in its original, colorful but somewhat battered, box. It measures some 7.5 inches in length. 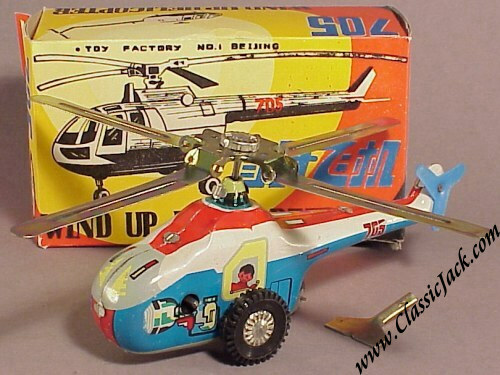 This helicopter is for collectors only and not suitable for children! 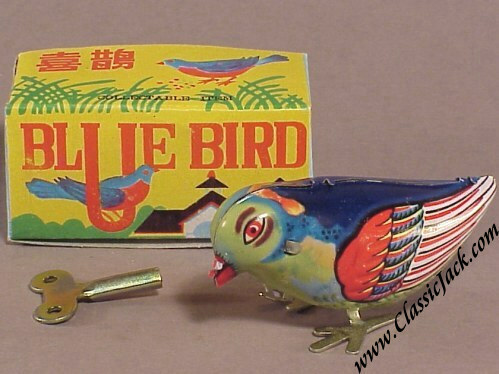 This is a current production version of a clockwork pic-pic bird as introduced by Schuco way before WW2. It winds through a separate key (included) in the bottom and starts picking away at imaginary seeds on the floor. It measures some 3.1 inches in length. 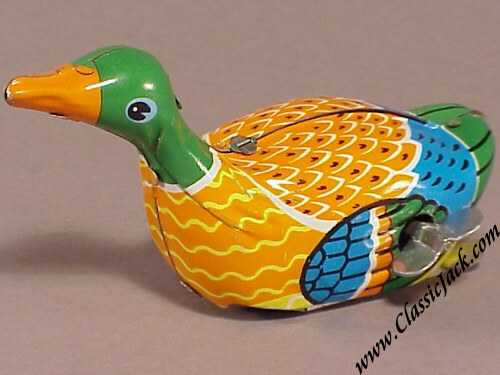 This is a current production version of a clockwork duck. It winds through a built-in key in the left side and starts "swimming" away while peddling its feet. It measures some 4 inches in length. 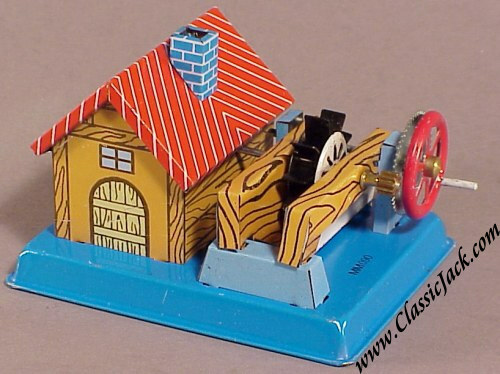 This is a current production version of a Waterwheel with house. Crank the flywheel on the right side and the waterwheel will start to move. The baseplate measures some 3.6 x 3 inches.